What are some of the effects of women going to college? 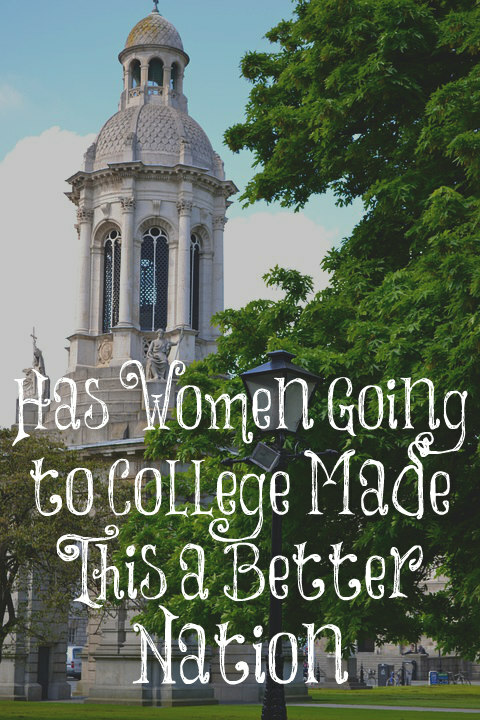 Has women going to college made this a better nation or worse? Let’s see. Women going to college has caused more children to be raised by strangers in daycare rather than by their own mothers. It has caused many more mothers to not be keepers at home. Those women who are keepers at home feel discontentment because they think there is something better “out there” and they feel guilty for not bringing in an income since this is all that is important to this culture. Women now compete with men in the workforce and take over their jobs. It has fueled the war between the sexes in culture and in marriages. It has blurred the lines between the sexes. Women have a lot more head knowledge but less wisdom. Many women are now in deep debt (student loan debt just hit $1.5 trillion dollars and women hold most of it), bear children later, and they cannot be home with their children full time when they do have them. It has taught women to be feminists, loud, and hateful towards men. College promotes sexual promiscuity, abortions, drunkenness, and drugs. It surrounds them with worldly friends, false teachings, and influences. Most women who give me reasons why they think college for women is a good thing is because of what it did for them personally. Women are typically good at this. They tend to be short-sighted instead of seeing the long-term impact of something on culture as a whole. They focus upon what is best for them, the “what ifs…?”, and what they want instead. College for them has given them “this,” therefore, college for women must be good. They fail or don’t want to see the devastation women going to college has had on families, marriages, children, and this nation as a whole. Short-term gain for long-term pain. The arguments for women going to college are similar to the arguments for feminism. Women are constantly trying to point out to me the “good” that feminism has accomplished but the destruction it has caused on the family, marriage, and children have convinced me to never support any of it. The same is true with women going to college. Nothing is worth the destruction of the family it has caused. Finally, college hasn’t made women better in any way that really matters: kinder, more loving, more gentle, more giving, more meek and quiet spirited, more wise, more feminine, more modest, more chaste, better mothers, better wives, or better human beings. Dennis Prager said that universities are bastions of stupidity. They have abandoned God and the Bible. All wisdom comes from God and the Bible. The more highly educated women have become, the farther they have drifted from God’s will for them. No, I don’t believe college has made this a better nation in any way, shape, or form. The saddest part of it all is that most Christian young women seem to be much more interested in higher education, debt, and careers instead of getting married, bearing children, and being home full time to raise their own children. God has told us that children are a blessing NOT higher education or careers. When did Christian women begin valuing what our culture values rather than what God values? Good analysis, Lori. Your second paragraph in particular reminds me of the recent post you wrote about woman’s suffrage and well convinces me that the 19th amendment was a mistake. We women do tend to be short-sighted rather than future-oriented. The long-term consequences are far greater than any gains there may have been. Can I ask what is wrong with the 19th amendment? Thank you in advance Lori! We have to be careful to recognize that it is not college itself that leads to Christians following along with culture, but rather which college they attend and for what purposes. My Mom attended Prairie Bible Institute but with the primary purpose to study God’s Word and prepare herself to be in full-time ministry with a husband. 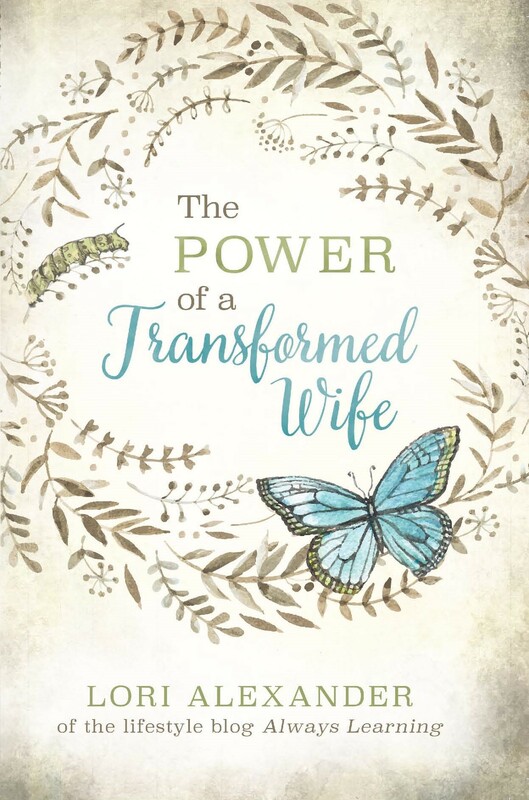 Back in those days, she learned much Bible that helped her as she ministered to women in the mission field, but she was a stay-at-home Mom and made her husband and family her first and foremost priority. College is but a tool for preparation, but our Christian colleges have gotten off course having forgotten much of what you have written in this post. They have stopped seeing family life as the true priority and instead gone along with culture. There are still some colleges that are focused primarily on Bible and ministry. We should encourage and support these schools as being an alternative to culture’s slippery slope. Satan will take any good thing and turn it into evil. Look at how many of the best universities once were bastions for Christianity and now just pawns of the prince of this world. It is up to the true Believers to stand strong and support those things which are of God, taking God at His Word for what is best for our lives. College or no college, will our young people stand for God’s Word or get carried away with culture and the things of this world? It’s the same question that has been asked each century since Jesus asked the question. Your argument can be made for our sons too. Most colleges still promote drugs, drinking, and sexual promiscuity for men as well. They foster a disgusting attitude towards sexualizing and degrading women. Men end up in debt that hinders their ability to start a family, or go into fields they are not suited for/ smart enough for and must drop out with debt. There are apprentice programs, technical schools, and certain Christian colleges that can prepare our young men for Godly roles as leaders, providers, fathers, and husbands. Perhaps some gifted young men may earn a scholarship and are smart enough to become doctors, dentists, lawyers, etc, but that is not most of our young men. Parents and young men should be realistic and far-sighted as well. So many young men have testaments these days about how they went to college and fell into depravity and debt. Now they are content to have job doing nothing that had to do with their college degree, but allows them to support their family and spend time with their children. The essential difficulty is the wrongheadedness of bringing boys and girls up in the same way with the same futures in mind. God designed men and women for complimentary roles, separate and distinct. It’s like we’ve opened Pandora’s box, and we can only cling to the hope which is what Scripture teaches. I believe that there are so many women in the work force currently, we would see a collapse in our society if all women suddenly stayed home. We saw much falling away from biblical truth in the Christian colleges when our sons were contemplating where to go. Expense was also a factor. They each followed different paths, but with each of them staying home and going to local colleges. This served to keep them grounded at home, in the Lord’s work at our fellowship, and also to slowly gain their independence in decision making before moving out of our home. Kids just aren’t ready at 17-18 to withstand the bombardment of the world. We’ve seen many promising Christian young people fall away from their beliefs because of leaving home for college. So, in my husband and my estimation, college is a necessary evil for certain vocations. We’ve told our sons that you’re there to get an education, not to party. Our daughters are home, with that being a fairly recent decision within the last 3 years or so as God had been working on my husband’s heart. That is not the popular decision even in Christian circles. We get…but they have so much to offer! What’s going to happen to them when you’re gone? You’re not teaching them to provide for themselves. So, we’re taking a step in faith and putting our full assurance on God in this area. He is faithful to His promises, and we’re clinging to Him. No, we would not see a collapse of society if women stayed home. Yes, a week or two it will be bad but things will normalize. But if men stopped working and stayed home, then society will surely collapse, and there is no way that women would take men’s positions. Another great read! I love that you stay firm no matter what the nay-sayers throw at you. I am 22 years old. College educated. Thankfully I do not owe anything for loans because my program was only 2 years and my father paid in full. However! I spent my valuable years of feminine youth (18-22) thinking that my education would satisfy me and make me happier. It is a lot easier to find a mate while in college. After college everyone is working or unfortunately made too many bad choices in college to be of good choosing. I know I am still young but I still wish my parents pushed me to work more on the qualities God desires for women. I don’t even work in the field I studied for!!!!! Young women today are taught that their worth and value come from their higher education and careers rather than being wives and mothers, unfortunately. Even most Christian young women are taught this.